Dar es Salaam — Energy and Water Utilities Regulatory Authority (Ewura) announced an increase in prices for petroleum products for December. For the second consecutive month Ewura has announced that petrol, diesel and kerosene, which were imported through Dar es Salaam port, retail prices increased by 1.66 per cent, 2.11 per cent and 3.85 per cent, respectively, compared to those announced on November 02, this year. A litre of petrol will now cost Sh40 more, while diesel will fetch Sh50 more than previous prices and kerosene price went up by Sh88 more. The new prices came into effect today. "The change in local prices of petroleum products is mainly due to increases in the world market and BPS (Bulk Procurement System) premiums" Ewura statement indicates. Dar es Salaam consumers will now have to pay Sh2,436, Sh2,436 and Sh2,368 for a litre of petrol, diesel and kerosene respectively compared from last month, when they were paying Sh2,396, Sh2,385 and Sh2,280 for the same products respectively. There were no new consignment of petroleum products imported through Tanga ports in the month of November 2018, hence in December 2018 prices of petroleum products in the Northern regions will remain the same as they were in November. Also, there was no new consignment of petroleum products imported through Mtwara port during similar period. According to Ewura, Diesel is the only available product at Mtwara storage terminals. The price of Diesel in Mtwara, Lindi and Ruvuma regions will remain the same-Sh2, 344 per a litre. 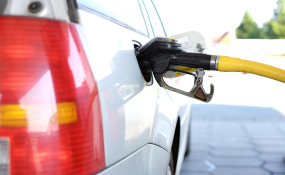 For that Ewura said in the statement, since traders will have to source petrol and Kerosene from Dar es Salaam the product's prices is likely to increase to cater for transport costs in the three regions.